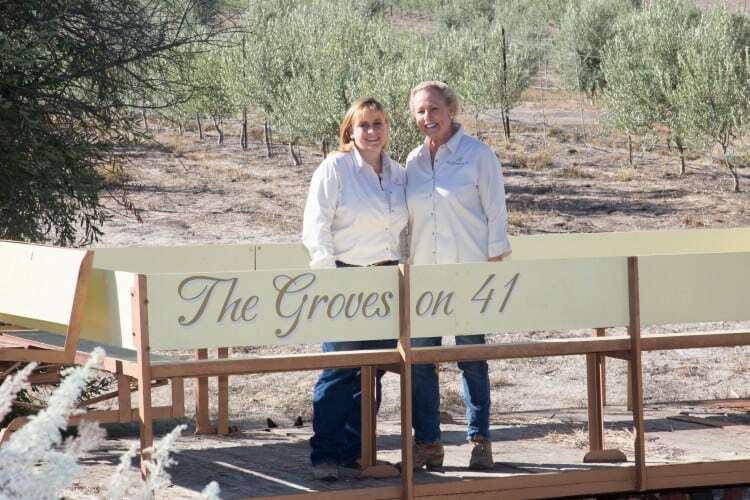 Meet Karen Tallent, she left the corporate world to run her own olive farm in San Luis Obispo. She is very passionate about olive oil and she even considers talking about olive oil to be her hobby! Karen: Today we’re bottling olive oil. We’ve got our fresh harvest from November and December of last year. It’s all settled out and ready to bottle. We have a community here in the central coast of about 75 other artisan growers. The olive oil needs to be stored at a certain temperature so we have a climate control secured storage here. But right now we are very busy with bottling our own harvest. Right now olive oil is at its freshest state, it’s wonderful. My daughter, Jennifer Tallent, joined our farm a couple of years ago and is active in every phase of the business. Together, as a mother and daughter team, we are the farm hands! Karen: All of it! I’m not sure I would change a day of being out there in the fields and working with the trees, pruning and shaping them up. It’s very exciting from the time that bloom starts. Just by the pit hardening of the fruit, you can get a good idea of what your crop is going to be like. And nothing beats the excitement of harvest day! Karen: We do in a number of ways. We love this community and we love living here. On our farm we do a lot of farm tours. We don’t charge for the non-profits and we are always giving donations. They are so philanthropic up here, there are so many good causes it’s so easy to donate to them, and we do often. We do a lot of special events in our barn. We host non-profit events at extremely reasonable rates. We also do fundraisers with our olive oil by collaborating with organizations to where they can actually have their fundraiser year round and get a percentage of the sales. The organization gets a code and people can order and enter that code and they get a portion of the sales. Karen: Talking to other farmers our many visits to their farms. We are originally from the Los Angeles area. All of the olive growers seemed to be very passionate about what they did and I really enjoyed the product. I began to study the industry at UC Davis and just became hooked. So we left our corporate lives and came here to start the farm. Karen: TRAVEL, I love to travel. Reading, writing, and talking about olive oil! CAGROWN: What advice would you give to someone who wants to become a farmer? Karen: I would say check out the industry. Get to know the other local farmers. You really do need a good supportive network because there are farming issues that will come up. I thought I knew exactly what I was doing. And in the first month our trees were put up, grasshoppers attacked them and I had to call up some other farmers. I reached out for help to understand what was going on and how to fix it. Having access to other farmers and information is essential. CA GROWN: Is there anything else you’d like to share with us? Karen: I guess one of the things we like to do best is the actual farming. That is 75% of it. The next best thing is really talking about it. We do a lot of cooking demos because we think people don’t really realize how versatile olive oil is. We don’t bring out a recipe unless it’s easy, healthy and kid friendly. The latter is that it’s kid friendly because we want them to grow up healthy too.